1756-1818. Born in Irby, Cheshire, he was the son of George Ball and his wife, Lucy Stringer, and was baptised on 7 December 1756 at Woodchurch, Cheshire. Ball was commissioned lieutenant on 23 April 1778, and from March 1783 until April 1786 he commanded the cutter Seaflower 16 on the northern coast of Ireland. In May 1787 he sailed from England with the ‘First Fleet’ for New South Wales in command of the tender Supply, his vessel later carrying Commodore Arthur Phillip’s broad pennant when that officer attempted to take the faster ships ahead to their destination. On arrival in the Antipodes he conveyed the first settlers led by Lieutenant Philip Gidley King to Norfolk Island, and over the next couple of years he explored the environs of Port Jackson and named Lord Howe Island before sailing to Batavia in April 1790 to collect supplies. After returning to New South Wales in October the on-going effects of a fever he had contacted at the Dutch outpost resulted in his seeking leave to go home. He eventually left New South Wales in November and reached Plymouth to be paid off in April 1792, bringing with him the first kangaroo ever to be seen in England. To honour his achievements he was promoted commander on 28 April 1792. Ball returned to duty in December 1794 with his appointment to the Flora 36, and he took the new British ambassador, Lord Bute, out to Spain before returning from the Mediterranean in June 1795 to be posted captain on 9 July. In September he was appointed to the Ariadne 20, serving for the next eighteen months in the North Sea and the Downs. In March 1797 Ball was appointed to the Daedalus 32, serving initially in home waters before departing on a cruise in company with the Hornet 16, Commander John Nash, in which he took a number of prizes off Goree, West Africa, in the early part of 1798. Having then transferred to the East Indies station he was off the Cape on 9 February 1799 when he fell in with the French frigate Prudente 36 which only carried 30 guns aboard, and which had in company a prize vessel. The latter soon detached herself, but Ball managed to get up with the Prudente, and after an eighty-minute action the badly battered Frenchman surrendered. The Daedalus lost two men killed and twelve wounded in the engagement whilst her opponent suffered twenty-seven men killed and twenty-two wounded. Unfortunately the Prudente was in too shattered a condition to be purchased into the Navy. In August 1799 the Daedalus joined Rear-Admiral John Blankett’s squadron in the Red Sea, which was opposing the French presence in Egypt, this activity forming part of the East India fleet’s campaign from April to August. During the summer of 1800 he led a squadron otherwise consisting of the Sibylle 38, Captain Charles Adam, Centurion 50, Captain John Sprat Rainier, and Braave 40, Captain Thomas Alexander, in blockading the Batavia Roads, and on 23 August five Dutch armed vessels were captured and twenty-two other vessels destroyed when this force captured the arsenal at Onrust. One of the prizes, a 16-gun brig, was renamed Admiral Rainier and commissioned by Ball. The squadron was later recalled from Javanese waters by the governor-general of India to provide naval support during the Mahratta War, and after leaving the Daedalus in 1801, Ball spent a short time aboard the Trident 64 on the same station. Back in home waters Ball commanded the Zealand 64 from 1805-7, this vessel serving as the flagship to Rear-Admiral Bartholomew Rowley at the Nore, and after being appointed to the Spanish-built Gibraltar 80 he was employed in the Channel in 1808, and was present at the Battle of the Basque Roads on 11 April 1809. He left the Gibraltar in 1810, having had Captain Valentine Collard briefly act for him, and he later commanded the Danish-built Christian VII 80 from the summer of 1812 until the following year, seeing service as the flagship to Rear-Admiral Philip Durham off the Texel. 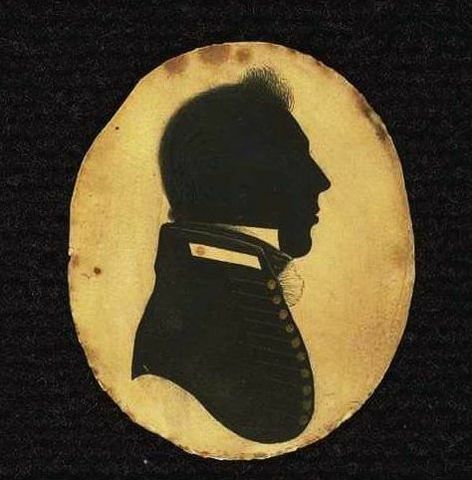 Ball was elevated to flag rank on 4 June 1814, and he died on 22 October 1818 at Mitcham, Surrey, to be buried at St. Peter’s Church, Petersham. Ball married Charlotte Foster in London on 17 June 1802 but she sadly died in November 1803 in Great Ormond Street, London, having endured a long and painful illness. On 19 July 1810 he married Anne Georgiana Henrietta Johnston at Kingston-upon-Thames, his wife being his junior by thirty-one years. He had a natural daughter, Ann Maria, who was born in the Antipodes in 1789 and whose mother was a convict by the name of Sarah Partridge. A reputation for bullying his subordinates attended him, as did the accusation of churlishness and uncouthness, but he earned great praise for his navigational skills during the voyage to New South Wales. Ball’s Pyramid on Lord Howe Island, Ball’s Bay on Norfolk Island, and Ball’s Point in Sydney Harbour are all named after him.